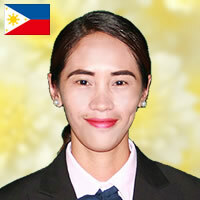 Hello everyone, I'm teacher Rubie, I graduated college and has a bachelor degree in education at northern negros state college of science and technology. I'm 31 years old and i like writing poetry in my spare time and beside from that i love teaching too and since teaching is my passion i have a cheerful personality and a qualities of a good teacher; i always find enjoyment in the process of learning and teaching. i always find improvement in everything i do and its my pleasure to impart my knowledge to everyone. i believe learning english language is like bridging the gaps to other culture. so, i think i might be the teacher youve been looking for. thank you for viewing my profile and see you.